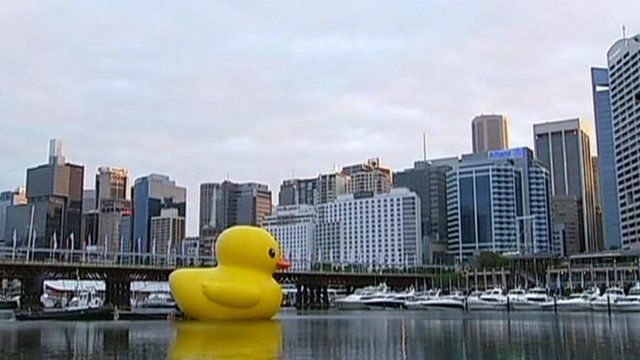 A 15 metre high rubber duck has taken to the water in Sydney's Darling Harbour as part of a rehearsal for a festival at the weekend. Its creator Florentijn Hofman explained how he came up with the concept: "We are living on a planet, we are one family, and the global waters are our bathtub, so it joins people." The giant toy will remain in the harbour for the duration of the Sydney Festival until 23 January.